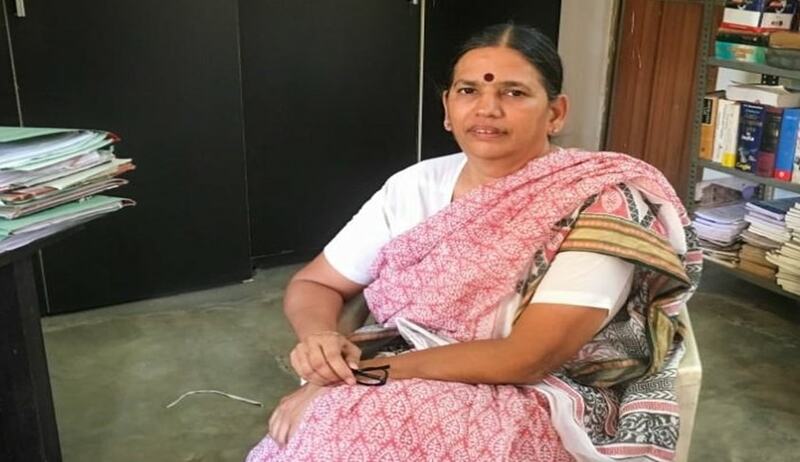 Two Left-wing activists Varavara Rao and Sudha Bhardwaj were arrested today as the Pune police carried out searches at multiple places in various states on the residences of people suspected to have Maoist links, a senior police official said. The raids were carried out as part of a probe into the violence at Maharashtra's Koregaon-Bhima village, triggered by an event called 'Elgar Parishad' (conclave) held in Pune on December 31 last year. Searches were carried out at the residences of Left-wing activist and poet Varavara Rao in Hyderabad, activists Vernon Gonzalves and Arun Ferreira in Mumbai, trade union activist Sudha Bhardwaj in Faridabad and Chhattisgarh and civil liberties activist Gautam Navalakha in Delhi, the official said, while refusing to be identified. Following the searches, Rao and Bhardwaj were arrested, the official added. Rao's name had figured in a letter which the Pune police had claimed to have seized during searches at the premises of one of the five people arrested in June in connection with the 'Elgar Parishad' event last December to commemorate 200 years of the Koregaon-Bhima battle in 1818. In June, five people were arrested for having close Maoist links after they allegedly made "provocative" speeches at the event, triggering violence at Koregaon-Bhima village in the district, according to an FIR registered at the Vishrambaug Police Station after the event. Dalit activist Sudhir Dhawale was arrested from his home in Mumbai, while lawyer Surendra Gadling, activist Mahesh Raut and Shoma Sen were picked up from Nagpur and Rona Wilson was arrested from his flat in Munirka in Delhi in simultaneous raids in June. "During our investigation in connection with the Elgar Parishad event, some evidence came to light about members of a proscribed organisation, following which the police carried out raids in Chhattisgarh, Mumbai and Hyderabad," the police official said. The searches today were conducted at homes of people having Maoist links and those directly or indirectly connected with the five arrested people, the official said. The police claimed to have recovered "some incriminating documents" during the searches. "We are also checking the financial transactions of these people, their modes of communication and also trying to gather technical evidence," the police official said. Outgoing joint commissioner of Pune police Ravindra Kadam, on August 2, said no Maoist link had been found in the Bhima Koregaon violence. He had, however, said an 'anti-fascist front', formed by the Maoists to oppose the policies of the current government, was behind the 'Elgar Parishad' held in Pune a day before the incident that saw protests by Dalit groups. Kadam, who has been transferred to Nagpur in a recent reshuffle, had told reporters that the police have ample evidence in the form of documents and video footage against the arrested persons. Earlier, the police had booked the five arrested people under the Unlawful Activities (Prevention) Act. They were also booked under IPC sections 153-A (promoting disharmony, enmity between groups), 505 (inciting class, community of persons to commit any offence against any other class or community), 117 (abetting commission of offence by the public or by more than ten persons) and 120-B (criminal conspiracy).